It is the night before Christmas, 2:00 in the morning and you are tired. But you are still up, sitting by the Christmas tree, trying to figure out how to assemble the Barbie and Ken Deluxe Doll House. Your daughter has been asking for that for weeks, and in just a few hours she’ll be awake. And she will be all excited and you are excited for her. You are anxious to see the look on her face when there it is, what she always wanted, her very own Barbie and Ken Deluxe Doll House. But you know that it would not be at all exciting for her to see what is there on the floor now– just a pile of parts and pieces. You had no idea that when it said ‘some assembly required’ that the assembly would be so difficult. And now, there you sit. And what is it has your full, undivided attention and focus? It is that little book called the assembly manual. You should have looked at the instructions first, of course, and you didn’t. But you are looking now. With the greatest care and devotion and attention you are reading intensely every line and every word. You don’t want to miss a thing. You have to get it just right, or you will not be ready in time. That is how you should read the Bible. That little illustration is gives an accurate portrayal of all of life. There are some things in life that you just have to know in order to put it all together, and all that information is found in one book. You have only a limited amount of time. There is a deadline fast approaching, and by then you must be ready. The Bible tells you how to be ready. You should want to know what is in that book. The stakes are much higher than a Barbie and Ken Deluxe Doll House on Christmas Day. What you know and believe, or don’t know and don’t believe, will have eternal consequences. Your reading of the Bible should be just as intense and careful as a doll house assembly manual. Does your Bible get such careful attention? It is very easy to make people feel guilty about not reading Bible. Everyone knows they should read it, but very few do with any kind of depth or consistency. So it is easy to point to what is wrong. What is not as easy is providing a way to help someone read that big, often difficult book. There are many ways to do that. These EmailMeditations provide just one simple way. Reading these daily meditations gives you the opportunity to read at least three Bible verses each day in the context of a devotional reading and prayer. This is only a minimal amount of attention to give so important a book, but it is more attention than it receives from most people, and perhaps more than you would otherwise be giving to the Bible. Perhaps not every day’s devotional reading will appeal to you, but you will at least read a little bit of God’s Word each day, and that will remind you of eternity, and, keep you closer to that God who holds you eternal destiny in his hands. Psalm 119:104-105 — I gain understanding from your precepts; therefore I hate every wrong path. Your Word is a lamp for my feet, a light on my path. 2 Timothy 3:13-17 — …Continue in what you have learned and have become convinced of, because you know those from whom you learned it, and how from infancy you have known the Holy Scriptures, which are able to make you wise for salvation through faith in Christ Jesus. All Scripture is God-breathed and is useful for teaching, rebuking, correcting and training in righteousness, so that the servant of God may be thoroughly equipped for every good work. 1 John 5:13 — I write these things to you who believe in the name of the Son of God so that you may know that you have eternal life. Blessed Lord, who caused all Holy Scriptures to be written for our learning: Grant us to hear them, read, mark, learn, and inwardly digest them, that we may embrace and ever hold fast the blessed hope of everlasting life, which you have given us in our Savior Jesus Christ; who lives and reigns with you and the Holy Spirit, one God, for ever and ever. Amen. O Lord God, Heavenly Father, we beseech thee so to guide us by thy Holy Spirit, that we hear and receive thy Holy Word with our whole heart, in order that through thy Word we may learn to place all our trust and hope in Jesus; and following him, be led safely through all evil, until by thy grace, we come to everlasting life; through the same Jesus Christ, thy Son, our Lord. Amen. –Frederick Buechner, Wishful Thinking, page 92. 1 John 3:14b — Anyone who does not love remains in death. 1 John 3:16 — This is how we know what love is: Jesus Christ laid down his life for us. 1 John 7-12 — Dear friends, let us love one another, for love comes from God. Everyone who loves has been born of God and knows God. Whoever does not love does not know God, because God is love. This is how God showed his love among us: He sent his one and only Son into the world that we might live through him. This is love: not that we loved God, but that he loved us and sent his Son as an atoning sacrifice for our sins. Dear friends, since God so loved us, we also ought to love one another. No one has ever seen God; but if we love one another, God lives in us and his love is made complete in us. 1 John 4:19 — We love because He first loved us. Where I live in Minnesota we are again finding out what it is like to go without rain for a while. There is not much one can do. We can pray, of course, but we know what happens then. We know that sometimes it rains and sometimes it doesn’t rain. Anyone who knows the first thing about prayer knows that we are indeed commanded to pray, so we do pray. But then we leave it in God’s hands, trusting that He knows more of the whole picture than we do. Think about it— if everyone, all over the world, got just the right amount of rain all the time, there would be such a surplus of everything that crop prices would go down to practically nothing, and every farmer everywhere would go broke– and then what? God has a lot to keep in mind as he decides how to answer our prayers, and we had best leave it in his hands. I am familiar what the Bible says about prayer, I’ve read many good books on prayer, and I have a bit of experience with prayer myself. So I know a lot about prayer. For example, I know enough not to make any guarantees about specific answers to prayer. Prayer is a request, and a request is something that may or may not be granted. And my theology is deep enough and broad enough to trust God even when I don’t get the answer that I request every time, or even part of the time. However, despite all of my education, experience, and theological depth, there is still a part of me that likes the old story about a little girl who trusted God to answer prayer, even though she had none of my theological sophistication. The story takes place in another time when there was not enough rain. It was, in fact, one of the very worst droughts in the history of our nation, during the Great Depression of the 1930’s. People were already in deep financial trouble, and then the rain stopped; for weeks, then for months, and then it turned into several dry years in a row. It was hard on the farmers, and therefore hard on the small towns that depended on the farm economy. In this particular small town, the mayor called for a prayer meeting on the courthouse lawn. All the people from all the churches in the area were called on to come together to pray for rain, and a huge crowd gathered. Just as they were getting started, they were interrupted by a noisy little girl who was arriving late. And she was late, she said, because she had gone home to get an umbrella. Imagine that! No one else thought to bring one. Why should they? It hadn’t rained in months and there wasn’t a cloud in the sky. And this was going to be nothing more than a prayer meeting, and who really expected anything to come of that? But this little girl heard that they would be praying for rain, and so she thought she better bring an umbrella. That’s faith. Now, we all know that faith like that can get disappointed, and that’s why as we grow older our faith deepens. I have faith, but I probably would not have thought to bring an umbrella that day. But I still admire the faith of that little girl. Her faith will also need to deepen as she grows, but she was absolutely right in being open to receiving something good from God that day. Matthew 14:13-21 tells a similar story of faith in the miraculous feeding of the 5,000. Verse 14 says that a huge crowd had followed Jesus to a remote place, desperate for his healing touch. They had been with him all day, and now it was evening, they were hungry. The disciples point this out to Jesus, suggesting that he call an end to the meeting, and send everyone home. But Jesus says in verse 16: “They do not need to go away– you give them something to eat.” And the disciples brought to Jesus all that they had– five loaves of bread and two fish. You have to admire the disciples. They did what they could with what they had, bringing it to Jesus and leaving it in his hands. Then Jesus said a prayer of thanks for the meal, divided the loaves, gave the bread and fish to the disciples, and told them to give it to the people. At that point, to even begin to hand out such a meager amount of food to 5,000 men plus women and children displays a faith on the part of the disciples similar to that of the little girl who brought the umbrella. This was a test of their faith. Jesus was often testing their faith and the disciples often failed the test. But here they came through. They stepped out in faith without knowing what would happen, and the loaves and fishes were multiplied thousands of times over. Everyone ate and was full and the leftovers filled twelve baskets. When we pray we want to remain open to receiving great things from God, and, we want to be ready to leave the results in his hands, receiving from him whatever he does for us, or, allows to happen to us. To put it simply, we might say, “Faith trusts, and faith adjusts.” Then even as we adjust to whatever it is we receive from God, we continue to trust. Jesus endured the suffering and on Good Friday he died. But then on Easter Sunday he rose from the dead, victorious over the grave. By believing in Jesus we have also the promise of victory over death. There will be many ups and downs along the way, but in the end, we will not be disappointed. “What do you mean?,” the preacher asked. The preacher agreed. Such times give us an opportunity to do some deeper thinking about faith and prayer and how it works. And for some, faith and prayer will lead to healing, unexpected, miraculous healing– as unexpected as 5,000 people being fed out of a single picnic basket. Other times, healing does not come. But even then, with faith in God, there is still a deeper hope. We pray and we trust; but no matter how God responds to our requests, we do not need to fear the next minutes because we know that God holds the last hour in his hand– and he has promised us life. Believe it and you will be saved. Romans 5:3-5 — More than that, we rejoice in our sufferings, knowing that suffering produces endurance, and endurance produces character, and character produces hope, and hope does not disappoint us, because God’s love has been poured into our hearts through the Holy Spirit which has been given to us. Our Father who art in heaven, Hallowed be Thy name, Thy kingdom come, Thy will be done on earth as it is in heaven. 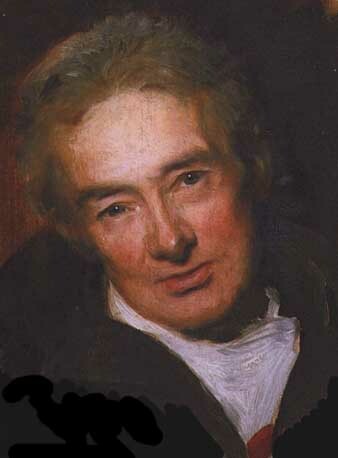 Willliam Wilberforce (1759-1833) was a British politician, philanthropist, and a leader in the movement to abolish the slave trade in the British Empire. When we think of eternity, and of the future consequences of all human conduct, what is there in this life that should make any man go against the dictates of his conscience, the principles of justice, and the laws of God? Selfishness is one of the principal fruits of the corruption of human nature; and it is obvious that selfishness disposes us to over-rate our good qualities, and to overlook our defects. James 4:17 — Anyone… who knows the good he ought to do and doesn’t do it, sins. On April 3, 1968 the Rev. Dr. Martin Luther King, Jr. gave a speech in Memphis, Tennessee. In that speech he reviewed the previous several years of the long struggle for equal rights for his people in this country. He talked about his place in that struggle, and how his life had been threatened many times. He described how several years before, when he was in New York City, a lady came out of the crowd and stabbed him in the chest. He was rushed to the hospital where doctors carefully removed the knife. The newspapers reported that the doctors said the tip of the knife was just a fraction of an inch from his aorta, and if he would have so much as sneezed the knife would have punctured his aorta and he would have very quickly bled to death. King said in the speech that while he was in the hospital he received many letters and calls from many famous people wishing him well, but his favorite letter of all was from a little girl who wrote just one line. She wrote, “Dr. King, I am sure glad you didn’t sneeze.” King went on to say that he was glad too, and that since then he had been able to be a part of many good things, and much had been accomplished. But he said, the dangers remain, and the threats keep coming. Even his flight to Memphis that day had been delayed because of a bomb threat. But, King said, “it doesn’t matter to me anymore.” And then he concluded his speech with these sentences. He said, “It really doesn’t matter now what happens (to me)… (because)… I’ve been to the mountaintop. And I don’t mind. Like anybody, I would like to live a long life. Longevity has its place. But I’m not concerned about that now. I just want to do God’s will. He has allowed me to go up to the mountain, and I’ve looked over, and I’ve seen the Promised Land. I may not get there with you. But I want you to know tonight, that we, as a people, will get to the Promised Land. And I’m happy tonight; I’m not worried about anything. I’m not fearing any man. Mine eyes have seen the glory of the coming of the Lord.” And those were the last words of Martin Luther King’s last speech. 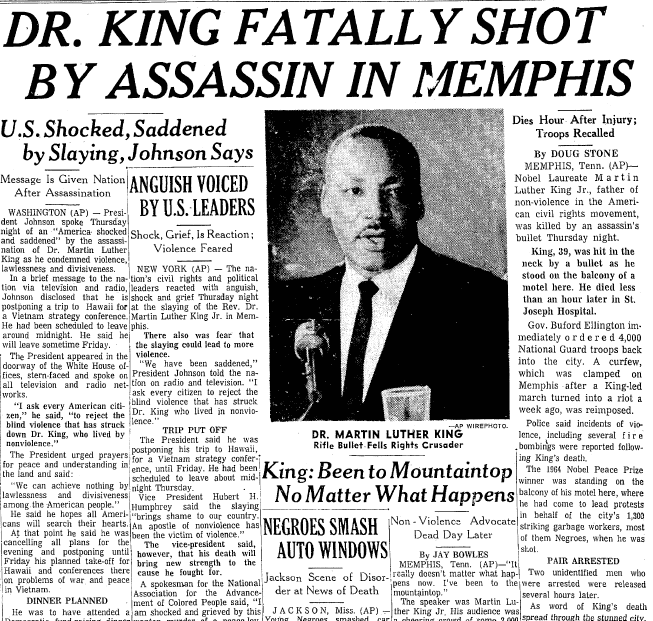 The next evening, April 4, 1968, King was shot and killed as he stood on the balcony of his motel room in Memphis. He was dead at the age of 39. He had brought his people so very far along on their journey, and he told them he could see the promised land ahead. But he did not get there with them. The courageous civil rights leader Dr. King was first and foremost a powerful preacher, the Rev. King. And he never tried keep the two separate, but was always doing both. So in his sermons he was always talking about civil rights and non-violent resistance, and in his speeches to the public he was always mixing in the Bible and faith in the Lord Jesus who taught us to love our enemies. King had come to Memphis to help negotiate a settlement between the city and some black garbage haulers who were being treated unfairly, but he began by talking about a 3,400 year old Bible story. When King was talking about being to the mountain-top and seeing the promised land from there, he was referring to a story of Moses from Deuteronomy chapter 34. Moses had also led his people a good part of the way on their journey; in fact, almost all of the way. But because of an act of angry disobedience by Moses many years before, God had told him that he would not enter the promised land with his people. Therefore, just before his death, God led Moses up Mt. Nebo, high enough to get a view of that promised land. And there, after taking a brief look, Moses died. There are at least two things we can learn from these views from the mountaintop. First of all, knowing the promised land is out ahead gives us something to live for and work toward, if not for ourselves, then for the next generation. I think of the old immigrants (in my case, ancestors from Germany), leaving homes and families, to come here to Minnesota and work hard, every day, for the rest of their lives, so that future generations, so that I, could have a better life. 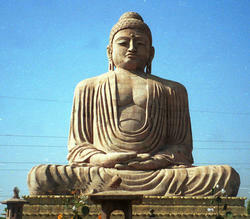 Everyone of us has a ‘promised land,’ a goal, something we have sought and longed and worked for. Sometimes we achieve our temporary promised land in this little life; sometimes all we can do is look longingly at it, as Moses looked at Canaan from the top of Mt. Nebo; and sometimes we are just here to clear the way for others to follow. Martin Luther King was inspired by Moses to take the long view, knowing that even though he may not get to the promised land, he was far enough along to see it, and close enough that he knew others would get there. 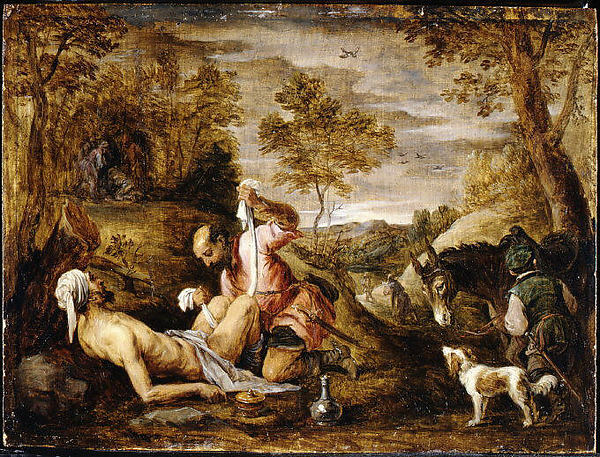 He took comfort in knowing that, like Moses, even though he himself would not get there, he had been used by God to see to it that others, in future generations, would arrive. And he had no way of knowing how else God would make use of his work and his sacrifice to inspire others in the future. During the coup by hard-line Communists in the waning days of the Soviet Union, Russian leader Boris Yeltsin literally faced down tanks in the street in front of the parliament building. Later, someone asked Yeltsin what gave him the courage to face the tanks. He said he had been inspired by Lech Walesa and his Solidarity movement in Poland. When Lech Walesa was asked what gave him the strength to organize Solidarity and defy the Soviets, he said that he had been inspired by Dr. Martin Luther King. And when Dr. King was asked what inspired his leadership of the civil rights’ movement, he said that he had been inspired by Rosa Parks’ defiance of segregation on a bus ride home from work in Montgomery, Alabama. Therefore, it can be said that the Soviet Union fell (at least in part) because a middle-aged black seamstress with tired feet refused to give up her seat to a white man. And I have read Rosa Parks story, and I know what inspired her. It was her strong faith in Jesus Christ, who she describes as the source of her strength and the center of her life (see Quiet Strength: The Faith, the Hope, and the Heart of the Woman Who Changed A Nation). There is a second lesson that we can learn from this, and that is that there is always a promised land farther down the road. No matter who we are, or how close we are to the end of the road in this life, there is the real, the ultimate, promised land of God still out ahead of us. Jesus told us he is going on ahead of us, and he is preparing a place for us, and he has shown us the way; and that way is to believe in Him, as the Way and the Truth and the Life. Therefore, the Bible, and the good news of Jesus Christ that we read about there, is our mountaintop from which we can see our ultimate promised land, God’s heavenly home prepared ahead of time, by Jesus, for all who believe in Him. Deuteronomy 34:1, 4-6 — Then Moses climbed Mount Nebo… There the Lord showed him the whole land... Then the Lord said to him, “This is the land I promised on oath to Abraham, Isaac and Jacob when I said, ‘I will give it to your descendants.’ I have let you see it with your eyes, but you will not crossover into it.” And Moses the servant of the Lord died there in Moab, as the Lord had said. John 14:1-3 — (Jesus said), “Do not let your hearts be troubled. You believe in God, believe also in me. My Father’s house has many rooms; if that were not so, would I have told you that I am going there to prepare a place for you? And if I go and prepare a place for you, I will come back and take you to be with me that you also may be where I am. That we for the most part must be considered poor is no disgrace to us but an honor. A life of luxury weakens the spirit. Frugality makes it strong. And yet, how can anyone be considered poor who does not feel any want, who does not covet what belongs to others, who is rich in God’s eyes? Much more should he be considered poor who always craves for more while he already has much… Just as a man traveling on the road is the better off the lighter his bundle, so too, he who makes himself light by poverty, who does not need to pant under the burden of wealth, is happiest on his journey through life. If we regarded wealth as useful we would ask God for it. He surely could give us a share of it, for everything belongs to him, but we would rather despise wealth than have it in our hands. Romans 8:31-32…35…37 — What, then, shall we say in response to this? If God is for us, who can be against us? He who did not spare his own Son, but gave him up for us all—how will he not also, along with him, graciously give us all things?… Who shall separate us from the love of Christ? Shall trouble or hardship or persecution or famine or nakedness or danger or sword?… No, in all these things we are more than conquerors through him who loved us. I Peter 4:12-16 — Dear friends, do not be surprised at the painful trial you are suffering, as though something strange were happening to you. But rejoice that you participate in the sufferings of Christ, so that you may be overjoyed when his glory is revealed. If you are insulted because of the name of Christ, you are blessed, for the Spirit of glory and of God rests on you. If you suffer, it should not be as a murderer or thief or any other kind of criminal, or even as a meddler. However, if you suffer as a Christian, do not be ashamed, but praise God that you bear that name. If anyone thinks that Christians regard unchastity as the supreme vice, he is quite wrong. The sins of the flesh are bad, but they are the least bad of all sins. All the worst pleasures are purely spiritual: the pleasure of putting other people in the wrong, of bossing and patronizing and spoiling sport, and back-biting, the pleasures of power, of hatred. For there are two things inside me, competing with the human self which I must try to become. They are the Animal self, and the Diabolical self. The Diabolical self is the worse of the two. That is why a cold, self-righteous prig who goes regularly to church may be far nearer to hell than a prostitute. But, of course, it is better to be neither. I Timothy 1:15 — This is a faithful saying, and worthy of all acceptation, that Christ Jesus came into the world to save sinners; of whom I am chief. Philippians 4:8 — Finally, brothers and sisters, whatever is true, whatever is noble, whatever is right, whatever is pure, whatever is lovely,whatever is admirable—if anything is excellent or praiseworthy—think about such things. God, have pity on me, a sinner.